When visiting Seattle, WA, take the time out to visit some of this city’s amazing cultural hot spots. Seattle is full of wonderful sights, sounds and tastes too, and is one of the centers of modern Aviation. 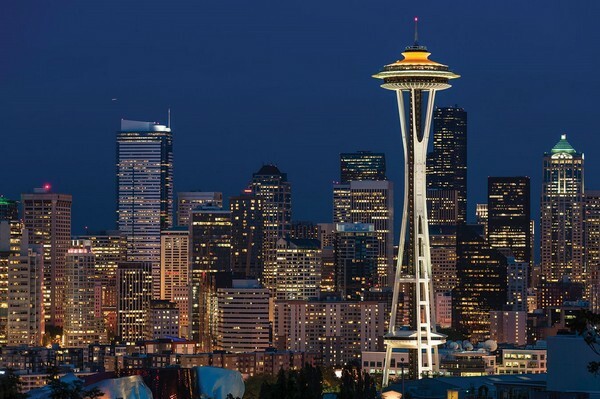 Perhaps the most iconic and well-known landmarks in the Seattle Skyline is its 606 ft tall Space Needle. This is an observation tower that was thought up and designed by Edward E. Carlson back in 1962 as a World’s Fair centerpiece, and it was inspired by the German Stuttgart tower. The tower has a concrete foundation that reaches down 300’ below the surface. The original building did not have the needle above the observatory, and in 1982, this 100’ needle was added to make the overall effect breathtaking. In 2000 three additions were added, designed into the structure, these are the SkyCity restaurant, the SkyBeam installation, and the SpaceBace retail store. This is a must visit when coming to Seattle. Another must visit when coming to Seattle is one of the United States oldest farmer’s markets, the Seattle Pike Place Market. According to statistics, this is the 33rtd most visited landmark in the world. It is an exceptional place, vibrant, warm and community minded. The market houses many farmers, businesses, artisans and resident hobbyists and sits on 17-acres of alleyways and stores. This amazing place its great to get lost in and find (discover) hidden gems. The overall design is multi-level since it is built on the side of a mountain. So, whatever you want to buy, from fresh seafood to artisan pottery and clothes, this is the place to visit. Waterfront Park is an amazing scenic viewpoint, providing both excitement for kids, as well as many a romantic setting. The original site was Schwabacher Wharf, known as pier 58. The park now sits between pier 57 to pier 59, and you can view all along the waterfront, maybe use one of the coin fed binoculars to see the Seattle skyline, Magnolia Bluff, West Seattle Bridge, Bainbridge, Blake Island, and the Olympic Mountains. This is a great place to relax and just enjoy fine weather and great view. One of the unique sites in Seattle is the renowned glass sculptures of the famous glass artist, Dale Chihuly. This is the Chihuly Garden and Glass exhibit that makes up a part of the Seattle Center park, arts, and entertainment center. Chihuly park has three sections; these are the Garden, the Glasshouse, and the Interior Exhibits. The glass house is the centerpiece, and it is a 40’ glass and steel building with over 4,500 square feet of exhibition space. 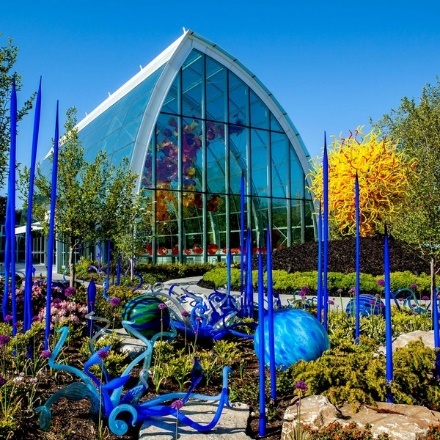 When walking through the gardens, you will find four massive sculptures as well as many trees flowers and various works of art, including the Icicle towers and the glass Sun exhibit. The interior galleries are made up of eight distinct rooms each one providing different works of the artist. The Olympic Sculpture Park is a public landmark spread over 9 acres and contains some of the most impressive structures and designs in the world. It was opened in 2007 and designed by Weiss/Manfredi architects working in collaboration with other artists and design specialists. If you want a nice stroll with some amazing open space views, this is a major consideration. Art is always a magnet, everyone has their favorite art style, and you will find every type of art exhibit in SAM. The museum is made up of many campuses, but the main campus is in downtown Seattle and has been around since 1933. The collections are a mix of temporary exhibits together with permanent ones, and you will find works from Asia, Africa, Ancient Americas and the Mediterranean and Europe, as well as Oceanic, Islamic, modern and contemporary art, decorative arts and design. Check with your driver for the campus you prefer to visit and concentrate on viewing the wonderful exhibits that you are attracted to the most. Botanical gardens have been a rave for centuries. What was once the domain of royalty and the rich is now public, and the Seattle conservatory is based on the Victorian Crystal Palace that no longer stands due to a fire over a century ago. The Volunteer Park Conservatory was erected in 1912, has 3,426 glass panes and is home to thousands of different species of flora. Over 150,000 visitors some here every year, and this is a great place to visit in every season. Pioneer Square is Seattle’s old downtown; this is where all the action was in the 19th century. It was built up in 1852 and is home to Galleries, cafes, restaurants, nightclubs, parks, and bookstores. The typical cast-iron Romanesque Revival style urban construction is the best in the country, and it contains many unique brick and stone buildings. The whole area screams the 19th century and is home to many an art gallery or small museum. You cannot come to Seattle and not visit Boeing. This is where part of the American history of aviation was made. The Future of Flight Aviation Center an aviation museum and the starting point of the Boeing Tour. The site has over 28,000 square feet of display space, including a theater, cafeteria, and shops. 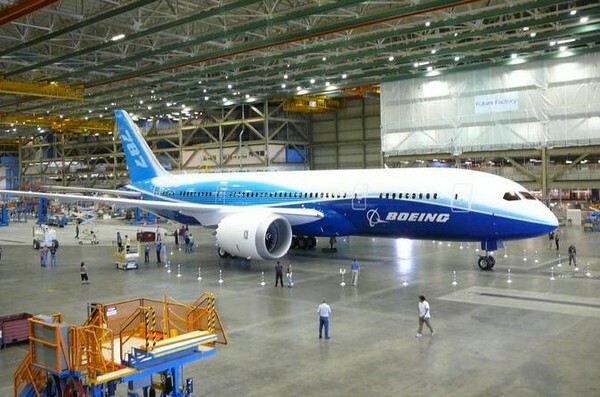 The Boeing Tour takes you inside Boeings fabrication plant, where you will see 747, 767, 777 and 787 models being built. This is the only site in North America where the public can view the inside of a working aerospace assembly plant. Take note that you cannot bring in a camera, so most mobile phones are not allowed while taking the tour, and kids under 4 feet cannot enter either, for their own safety. Aman Bhangoo is a resident and an Uber driver in Seattle. He’s the co-founder of Uber Drivers – Ridesharing Forum who helps rideshare drivers and customers to find answers to their most pressing questions. With over 4 years of experience, Aman brings a vast amount of knowledge, style, and skills to help fellow drivers. He has given over 18,000 rides with Uber and more than 6,800 rides with Lyft.